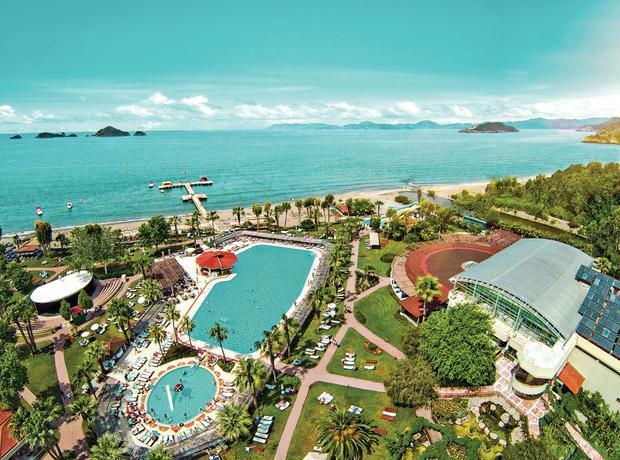 For family fun in the sun, why not take a peek at Club Tuana Park in Fethiye? 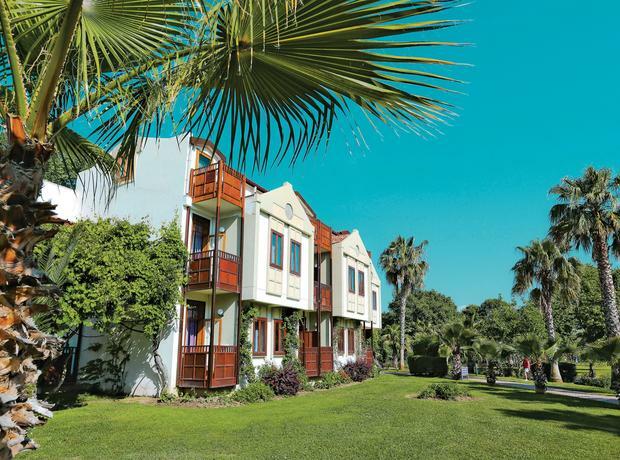 An abundance of on-site sports and leisure facilities are complemented by chic guest accommodation, daytime and evening entertainment, and a flavoursome dining scene. Tucked away in tropical gardens, the pool area is the star attraction during the day. Sun lounger filled terraces line the water's edge - perfect for lazy days. Add activity to your day with a game of tennis, or unwind in the oasis of the spa. Fun-filled times for tots to teens are on the menu in the age-specific clubs and pools. 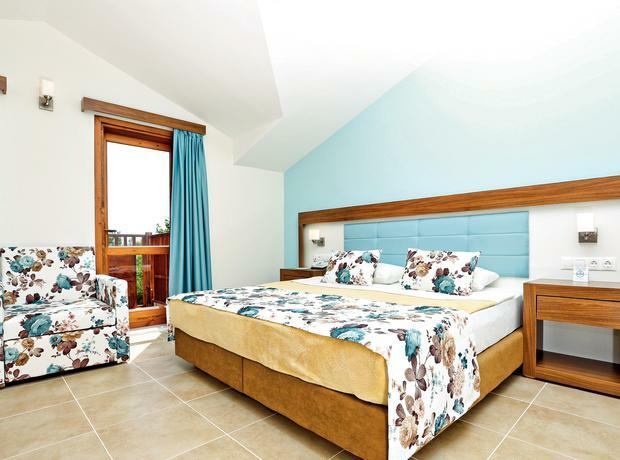 Relax in the comfortable surroundings of your modern guest room. Contemporary touches such as air-conditioning, a minibar and LCD satellite TV, are complemented by a furnished balcony with sea or garden views. 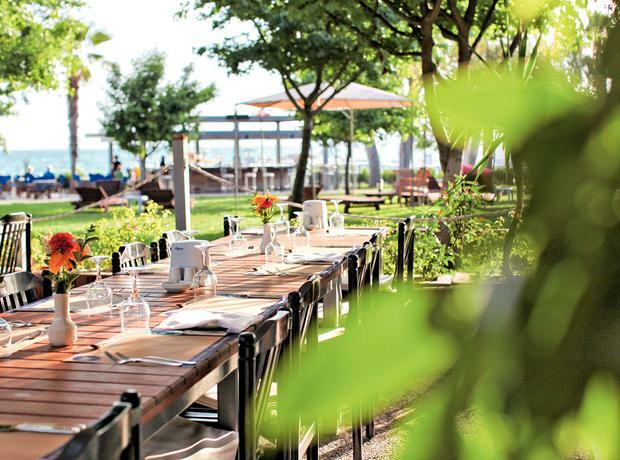 Dine your way around the world in the on-site eateries. 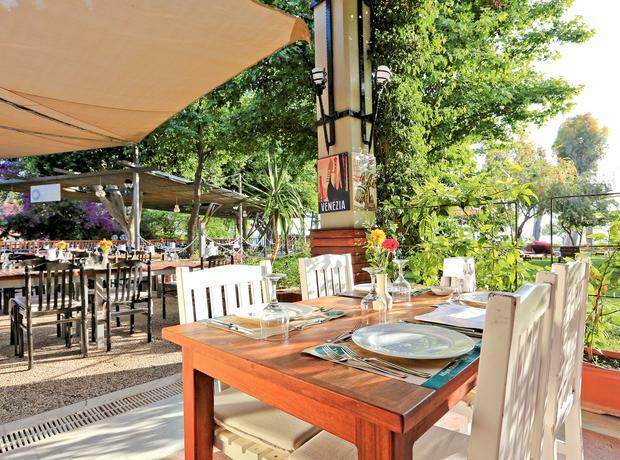 International buffet-style fare is served in the main restaurant, or tuck into Turkish, Ottoman, Italian and seafood cuisine in the gourmet eateries. A lively line-up of evening entertainment brings your day to a close in style. 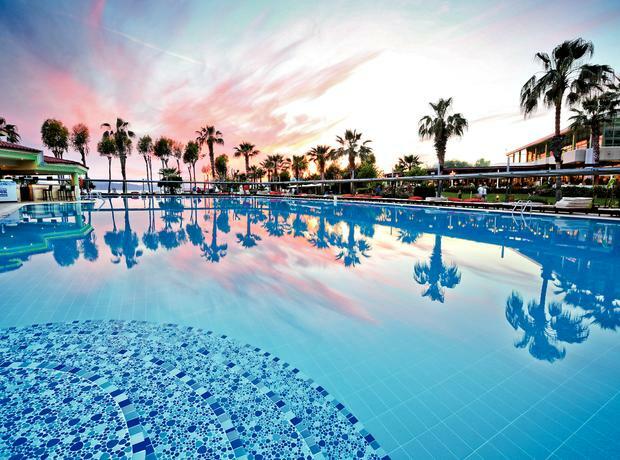 Discover why the Club Tuana Park is a popular place to stay for Turkey holidays. The Majesty Club Tuana Park offers plentiful facilities. 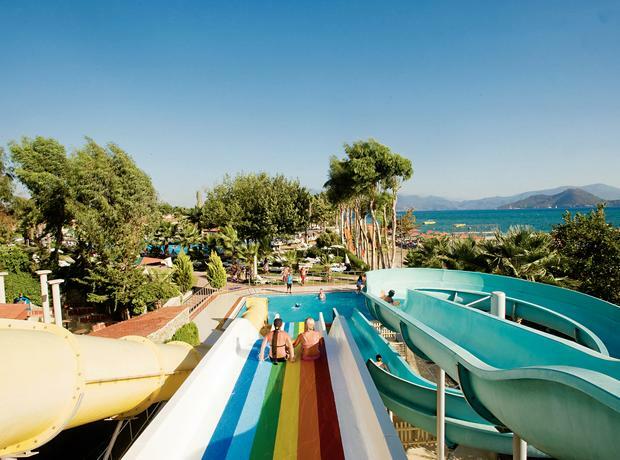 Highlights include: a large outdoor swimming pool, sun terraces with sunbeds, two children's pools, pool with three waterslides, gardens, kids' zoo, four restaurants, five bars, amphitheatre, open-air disco, hairdresser, games room, TV room, Turkish bath, sauna, and 24-hour reception. Additional services: car rental, laundry service, internet service, babysitting, 24-hour medical service, dry cleaning, photo service, and spa services. Activities include: kids' club, teen club, belly dancing lessons, fitness centre, basketball, boccia, darts, air rifle shooting, table tennis, beach volleyball, mini football, mini golf, archery, water cycling, canoeing, water gym, water polo, tennis, billiards, jet skiing, parasailing, play station, scuba diving, wake boarding, catamarans, water slides, and open-air cinema. 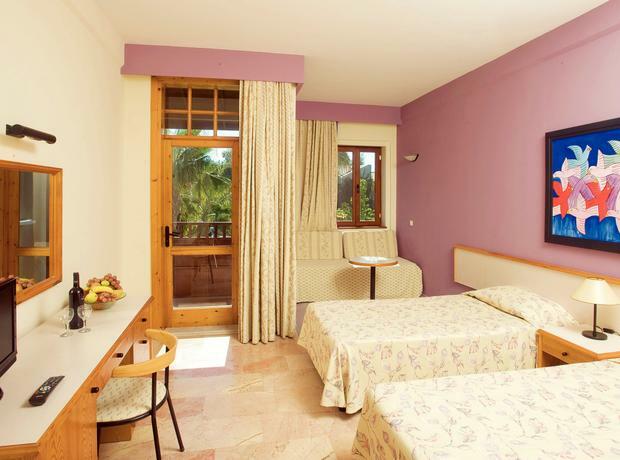 The hotel has a total of 502 modern guest rooms, consisting of 413 Club Rooms and 89 Park Rooms. Room highlights: bathroom (with bathtub and/or shower), air-conditioning, hairdryer, LCD satellite TV, telephone, minibar, and balcony. The main restaurant is open for buffet-style meals and also daytime and midnight snacks. Freshly caught fish and seafood specialities are served in Ivriz Fish Restaurant, Sultans Anatolian Restaurant serves a menu of local Turkish and Ottoman dishes and mezes, Mediterranean pizza and pasta are available at Ristorante Roma Italian and a wide choice of drinks are served at the Lobby Bar, Pool Bar, Park Pool Bar, Poseidon Bar, Majesty Bar, and Disco Bar. The evening entertainment programme takes place in the amphitheatre and disco.